As Apollo 11's lunar module descended toward the moon under automatic control, a program alarm in the guidance computer's software nearly caused a mission abort. Neil Armstrong responded by switching off the automatic mode and taking direct control. He stopped monitoring the computer and began flying the spacecraft, relying on skill to land it and earning praise for a triumph of human over machine. 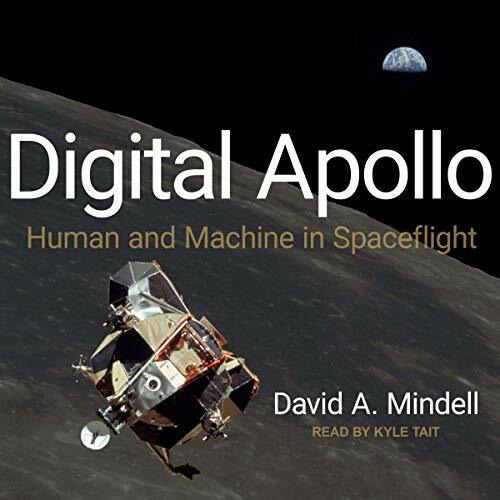 In Digital Apollo, engineer-historian David Mindell takes this famous moment as a starting point for an exploration of the relationship between humans and computers in the Apollo program. Digital Apollo examines the design and execution of each of the six Apollo moon landings, drawing on transcripts and data telemetry from the flights, astronaut interviews, and NASA's extensive archives. Mindell's exploration of how human pilots and automated systems worked together to achieve the ultimate in flight - a lunar landing - traces and reframes the debate over the future of humans and automation in space. The results have implications for any venture in which human roles seem threatened by automated systems, whether it is the work at our desktops or the future of exploration.